Welcome to Dr. Sherman Ki & Assoc. - The Oshawa Dentists! 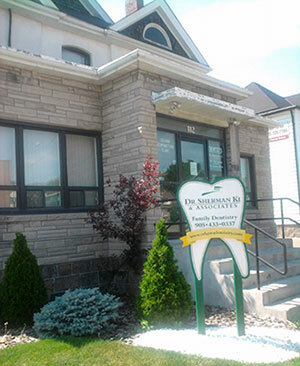 Dedicated to providing leading family dental services in Oshawa, Dr. Sherman Ki & Associates encompasses a renowned team of dentists, hygienists and support staff. Our dentistry professionals cover a range of specialized and general areas, including restorations, cosmetic dentistry, extractions and comprehensive consultations for patients of all ages. From treating children as young as 3 years old to helping seniors preserve or restore their smiles, our dental centre is outfitted with trusted technology and knowledgeable staff to put you and your family at ease. As a dentist dedicated to outstanding patient care, we offer a variety of dental services, including root canals, wisdom tooth extraction, fillings, crowns, bridges, veneers, the treatment of gum disease (periodontal disease) and dental implants. We recognize that dental emergencies can strike at any moment, which is why we also serve as an emergency dentist for after hours and weekends. For the anxious patient, we strive to offer extra comfort, including laughing gas (nitrous oxide) sedation and soothing amenities. Our dentists and staff know that smiles and confidence go hand-in-hand and as such, we are committed to offering cosmetic dentist services to match the quality of our family dental care. Patients have the option to whiten their teeth in the comfort of their own home with our take home tooth whitening kits. Combining longevity, value and natural aesthetics, we offer quality porcelain veneers, as well as all ceramic crowns and bridges by Zirconia Crowns. Acknowledged for our passion in the field of dentistry, Dr. Sherman Ki & Associates share a mutual interest in providing friendly care to meet each individual patient's unique needs. In addition to serving as an Oshawa dentist, we are proud to serve communities across the Durham region, including Whitby, Ajax, Port Perry and Clarington. Dr. Ki has a B. Sc. from the University of Toronto and completed his Doctor of Dental Medicine (DMD) at the University of Manitoba in 1997. Since then, he has been practicing dentistry in the Greater Toronto Area. In 2014, he received his fellowship from the International Congress of Oral Implantologists. Having been practising in Oshawa since 2000, it has brought him so much joy to treat multi-generations in a family and to watch the young ones growing up from toddlers to adults. He enjoyed all aspects of dentistry from checkups with children, to more complex procedures like root canals, extractions, crowns, bridges and implants. There are times when certain procedures are beyond the scope of a general dentist, referrals will be made to a member of a dedicated team of oral care specialists. He focuses on providing excellent care and service to every patient, every day. Dr. Landzberg trained in dentistry at the University of Toronto, graduating in 2005, after which he completed a general practice residency at Lutheran Medical Center in Brooklyn, NY practicing general and emergency dentistry. He completed the post-graduate periodontics program at the University of Toronto in 2009 Dr. Landzberg was a guest speaker at the Osteogenics 2011 Global Bone Grafting Symposium. Dr. Landzberg is a regular speaker for Toronto Integration for Dental Excellence, teaching other dentists on vrious subjects, including dental implants, gingival grafting, and surgical techniques. Dr. Golriz Sanei received her Doctor of Dental Surgery (D.D.S.) degree from the University of Toronto, Faculty of Dentistry. Before her dental education in Canada, she used to be a dentist in Iran. She graduated from Tehran Azad University in Iran in 2003 and practiced dentistry there from 2003-2009, after which she came to Canada, went back to school and graduated in June 2015. She has been working as an associate in Oshawa since then. Having had worked in different areas in Iran, she is used to treating a wide variety of dental patients with all ages, conditions and treatment needs. She enjoys being a dentist and always tries to have very good relationships with her patients. 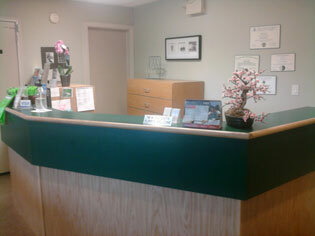 Oshawa dentistry is proud to serve the following areas: Ajax, Bowmanville, Clarington, Whitby.